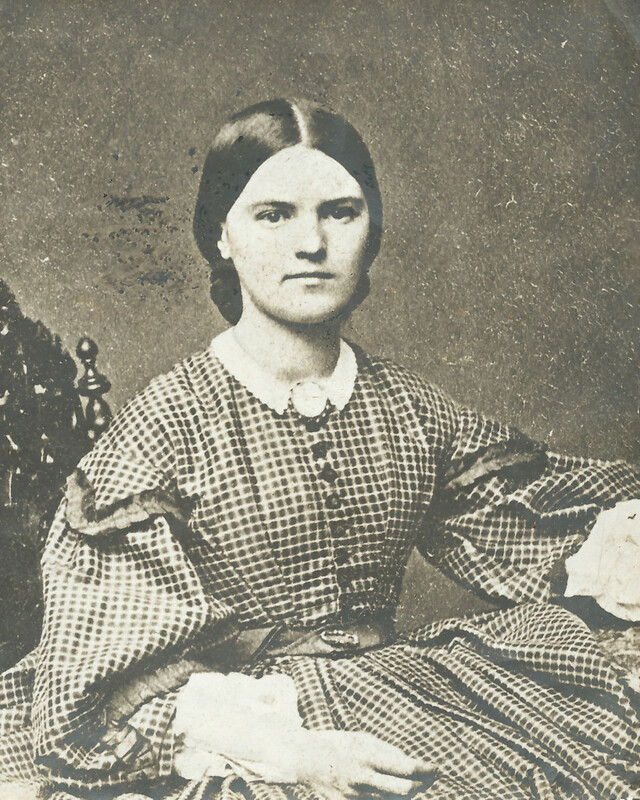 Mary Adelaide Mayberry (1842-1921), daughter of Andover carpenter Thomas Mayberry, was a nineteen year old school teacher at the outbreak of the war. A member of the Punchard Free School’s first graduating class in 1859, she taught in the town’s “intermediate department,” earning twenty dollars a month. In 1870, she married Ezra H. Valpey, a local butcher five years her junior who with his brother, had opened the prosperous Valpey Bros. Provisions store on Main Street in 1866.